During the summer, Murphy, who is also is a regular on the Food Network show Chopped, and his wife, Pamela Schein, who is a co-owner as well as a publicist, decamp to their recently completed beachfront home in East Hampton, N.Y., with their two young children. And where a beach house comes, guests will follow-guests who need to eat. But that suits Marc well-he's happy to cook if it means his friends and family will come to him rather than go out on the weekends. 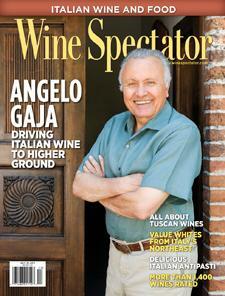 Wine Spectator's Jennifer Fiedler reports.